Technology enabled care (TEC) or connected healthcare is redefining the current healthcare scenario with the combination of health technology, digital media, and mobile devices to provide care beyond hospitals. The widespread adoption of mobile devices among all age groups is one of the key factors that has promoted connected healthcare. It gives both patients and healthcare professionals easy access to the required information in addition to reducing the time taken in the diagnosis process by determining the context through patient history. There is also a rise in wearable technology or biosensing wearables, such as, fitness bands, digital hearing aids, and ingestible devices like smart pills, which is easy to use and updates patient data through constant monitoring. In addition, there’s an evolution of healthcare social media, where people are migrating from popular sites like Facebook and Twitter to private social networks. The migration is accompanied by the emergence of social functionality within the patient portals. This will lead to a sharper set of collected data, which will improve customer satisfaction through the application of analytics and business intelligence providing a more personalized experience. Healthcare providers are on a lookout for the most apt solution for their care model. 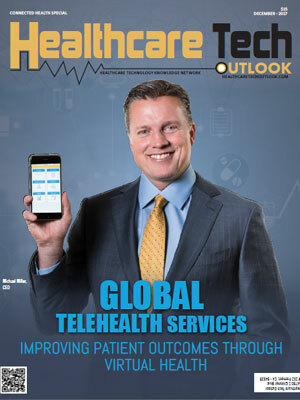 To help healthcare companies, our distinguished selection panel, comprising CEOs, CIOs, VCs, industry analysts and the editorial board of Healthcare Tech Outlook narrowed down the top 20 providers that exhibit competence in delivering connected health solutions.